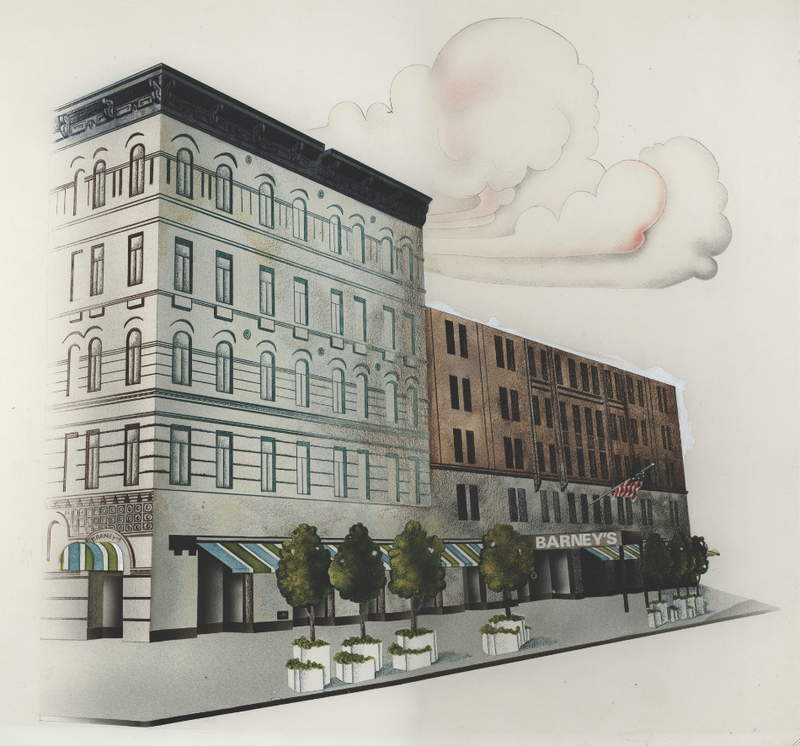 Barneys New York is set to open its downtown New York flagship in the Chelsea neighborhood in mid-February. The long-awaited store will occupy Seventh Avenue between 16th and 17th Streets, where the company was first founded in 1923 and remained until 1997. The 55,000-square-foot space will include five floors with men’s and women’s ready-to-wear, footwear, accessories, cosmetics, and a Fred’s restaurant. The restaurant, which will be on the third floor along men’s RTW and footwear, is expected to be modeled after the original, but with a unique menu that focuses on drinks and small plates. Designed by Steven Harris Architects, Barneys will also feature a men’s barbershop by Blind Barber, cosmetics, skincare, and fragrances on the lower level, while the ground floor will showcase men’s and women’s accessories and fine jewelry. The second floor will hold women’s RTW and footwear, and the fourth floor will be reserved for Barneys’ VIP clients. 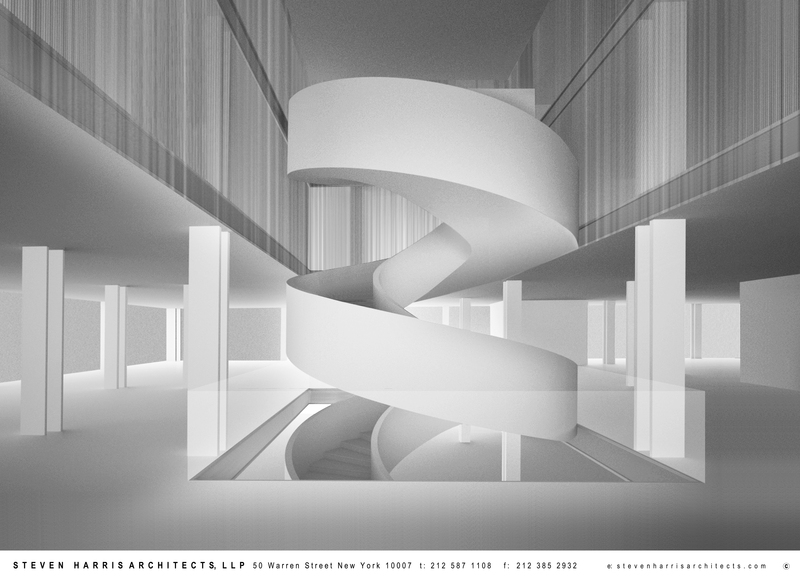 The crowning architectural statement will be a giant white spiral staircase that connects all floors and mimics the one designed by Andrée Putman for the original space. The store will also feature state-of-the-art technology and mobile applications to enhance the shopping experience. This will be the retailer’s second New York flagship, Madison Avenue being their largest, in addition to smaller stores in Brooklyn and the Upper West Side. Barneys has evolved from its first iteration as an inexpensive men’s suiting company to an exclusive high-end retailer, selling Rei Kawakubo and other designers obscure to the average American but not to the intellectually inclined sartorial shopper, who calls this retailer home. The new location will inspire nostalgia for many, Barneys CEO Mark Lee included, who recounted to Vanity Fair how he once purchased from the store a purple and red Norma Kamali sleeping bag coat and had to live off bananas and yogurt for the rest of the semester as a student at NYU in the ’80s.